Botox can be an effective method for eliminating forehead wrinkles. 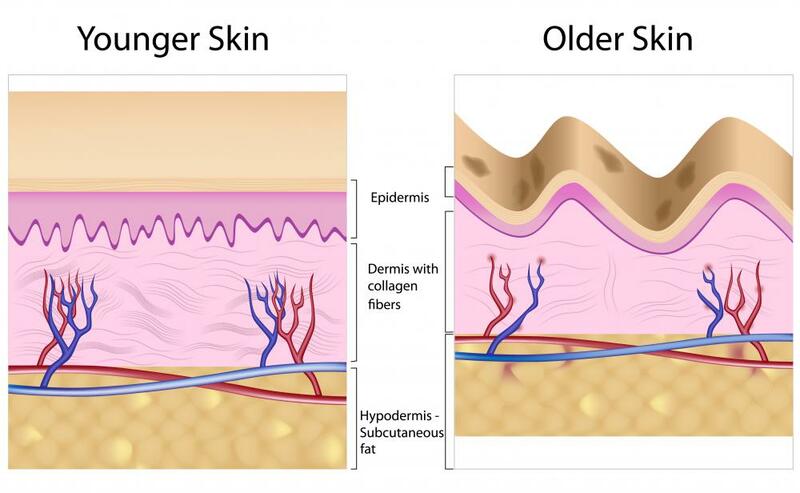 Most people want to fight the effects of aging, including facial lines and sagging. Fortunately, there are several ways to both avoid and eliminate wrinkles. Of course, the best way to not have to deal with wrinkles is to avoid damaging the skin through ultraviolet radiation, poor nutrition, and bad lifestyle habits. Once facial lines appear, however, various medical treatments including surgery, injections, and dermabrasion can help to eliminate wrinkles or drastically reduce their appearance. Non-medical alternatives include the use of exfoliation products and moisturizers. Medical and surgical treatments have advanced considerably since the day of the facelift. While surgery is certainly a possibility, many dermatologists and plastic surgeons now offer less disruptive and invasive options. For example, if you want to eliminate wrinkles on your forehead, you might consider Botox, which immobilizes your forehead muscles, giving your brow a smooth appearance. Lines around your mouth can be injected with liquid collagen, hyaluronic acid, or other fillers to make them less obvious. Options for medical skin resurfacing include laser treatments, chemical peels, and dermabrasion. All of these work, in part, by removing the top layer of skin and encouraging collagen production, creating smoother and younger-looking skin. Unfortunately, medical treatments to eliminate wrinkles are typically not covered by medical insurance, as they are considered cosmetic procedures. Over-the-counter treatments you can use at home for wrinkles are considerably less expensive, and while they may not be as effective, they can minimize the appearance of wrinkles. Any type of moisturizer will plump up your skin cells and make wrinkles less noticeable. Moisturizing creams that contain antioxidants can also help prevent further skin damage. You might also choose to use an exfoliating cream or cloth that can remove dead skin cells from your face, reduce noticeable lines, and make your skin look much younger. Preventing wrinkles is often a matter of making simple changes in your lifestyle and daily routine. Doctors generally agree that getting enough sleep has a significant impact on the condition of your skin. Sun damage not only puts you at greater risk for skin cancer, but also causes sagging and wrinkles. Use a high SPF sunscreen every day and reapply as necessary. Many foundations and powders include sunscreen in their formula, so wearing them provide you with extra protection against sun damage. One overlooked cause of wrinkles is the damage caused by certain facial expressions. If you are having difficulty with reading or seeing things at a distance, see an eye doctor or get reading glasses. While sitting stonefaced is not a realistic way to eliminate wrinkles, reducing unnecessary squinting and grimacing by taking care of your eyes can certainly help prevent them from forming. How Do I Choose the Best Liquid Collagen? How Do I Choose the Best Wrinkle Doctor?